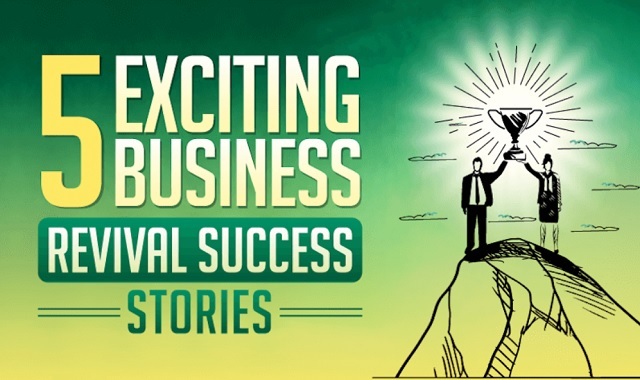 5 Exciting Business Revival Success Stories #infographic ~ Visualistan '+g+"
In competitive business markets, success is not guaranteed, and even the biggest corporations fail. The following five companies have either gone bankrupt or come incredibly close to shutting down. Under new management equipped with innovative business strategies and awareness of brand potential, these major corporations are experiencing a revival.